Questions About Poodles? – The Enchanted Poodle Club, Inc. 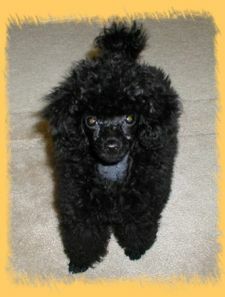 The Enchanted Poodle Club, Inc. > News > Uncategorized > Questions About Poodles? We are interested in finding a mini poodle female pup. We will be in Albuquerque October 5-8. Any suggestions? Nancy Norem nnorem@comcast.net will help you with a breeder referral. Any suggestions on a place for grooming. We have two 5 month old standard poodles. Any advice would be appreciated. I take my poodles to Completely Gone to the Dogs, and I’m always very happy with them. They are very gentle and do a beautiful job. It is off of north Tramway. If that’s not convenient let us know where you’re looking and perhaps someone else will know someone near you. What is the best way to keep the eyes of your poodle from staining. I have a apricot girl who is 7 mos. weighs 5.2 lbs. she has just started having this problem. The first step is to have your veterinarian check your girl’s eyes. It’s possible that there is a problem that needs treatment. If your vet says that there is nothing that can be fixed, then the only other thing to do is to wash her face regularly. There are a few products that I’ve tried, such as Burt’s Bees Tear Stain Remover and True Blue Safe and Sure Eye Wipes. Neither of these removes the stains completely, but they make it so that when I trim my dog’s face it looks clean because the newly grown coat isn’t stained. There are some home remedies online, but avoid anything that you wouldn’t want to use around your own eyes. We are searching for an adult lap dog to replace our wonderful “DC”. He was 12 to 13 lbs, a poodle. He died at 8 years of lung cancer. He was an adult lap dog who loved attention. We are a senior couple who need his replacement so badly. We are “hurting”. Please help us find our new friend. I am so sorry to hear about the loss of your poodle, D.C. It is so sad to lose a friend, and my heart goes out to you. If you would like to fill out our Rescue Contract and Home Evaluation on our Rescue Page and return them to us we will be very happy to contact you when we get a poodle that might work for you in to rescue. We get poodles into rescue regularly, although sometimes we go for a little while without any and then get several who need homes all at once. If you would like to look at other organizations who will have dogs immediately, Lap Dog Rescue here in Albuquerque often has poodles and always has other small dogs. They are a good group. It is also possible to get an adult dog who needs a home from a reputable breeder, and if you are interested in looking for a dog that way then we have two members who are happy to help you find a good, ethical breeder. Their emails are nnorem@comcast.net and johannaj@comcast.net. I hope you find a new companion soon! Hi! My family is interested in getting a standard poodle puppy. Do you have any recommendations for a reputable breeder? We do have members who can help you. Please contact johannaj@comcast.net or nnorem@comast.net .